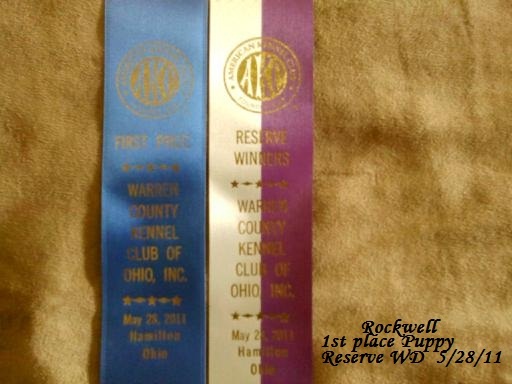 ROCKWELL won his 9-12 mo Puppy Class, Winners Dog, and Best of Breed for his 12th point. He only needs a 3 pt Major to be a finished Champion! 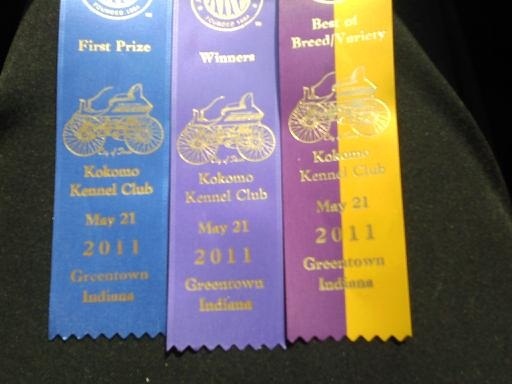 AKC SHOW RING DEBUT @ Greentown, IN -- May 21 -- EQ PAINTED ARTISTIC IMPRESSION aka "LUKE"
Luke made his first entrance into his AKC show career with a wonderful reward of 1st place in his puppy class 6-9 month, and then Reserve Winners!! He strutted like he'd done this show stuff many times before and other noises and multiple dogs didn't bother him a bit! I was very impressed with his classy movement and look forward to showing him!!! 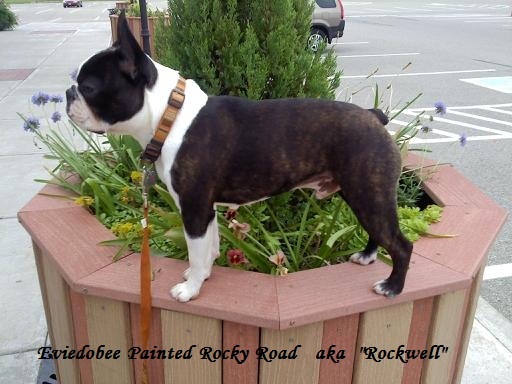 Rockwell and I had a really good time in Hamilton Ohio. He is my sweetheart and seems to Love To Show,... same as I do!! 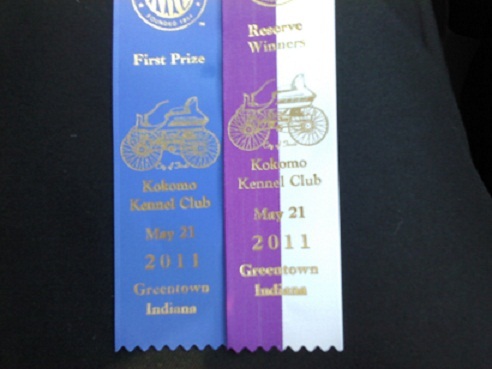 He was 1st Place of the puppy class winners, then got Reserve Winners Dog.